BONUS: this worry-free vacation home also offers FREE Linens in-season, with beds made and a towel set for each guest! Linens (sheets/bath towels) are provided in the Prime Summer months ONLY (2nd week of May to 1st week of Sept). During the off-season, guests are responsible for bringing Linens or may purchase Linen Service for an additional fee. I absolutely loved this property. Perfect location right on the Boardwalk. Kids loved being close to the beach, rides, shops, etc. Could smell the ocean, french fries, pizza right from the balcony. Belmont Towers has been called the “Times Square of Ocean City,” a premier downtown resort close to all the sights, sounds, and smells of a classic OC vacation. Stroll to the beach for a day fun in the sand, or stay home to indulge in Belmont`s state-of-the art amenities, which include a Rooftop Pool, 11,000-SqFt Sun Deck, Putting Green, Fitness Center & Sauna. Best of all, you can forget about stress of battling (& paying) for a parking spot! Park your car in Belmony's gated, covered Garage & leave it there - because you`re already where the action is! 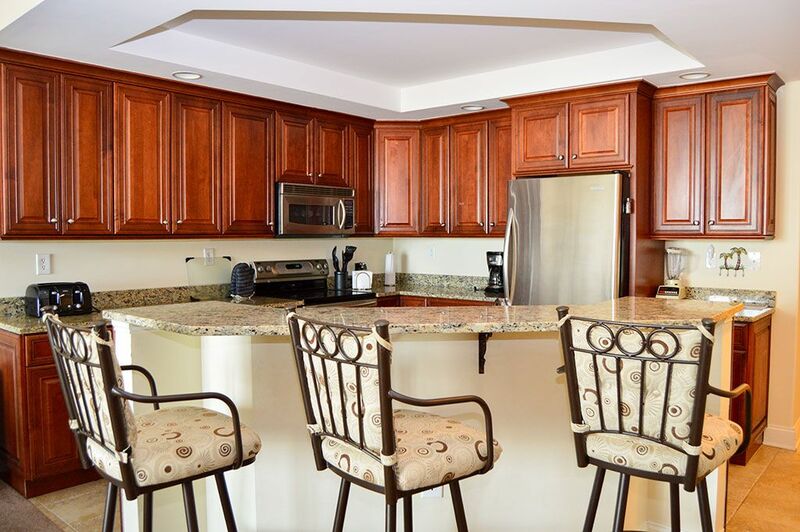 You’ll be only steps away from Beach, Boardwalk, restaurants & rides.